ATLANTA – January 23, 2017 – With recent unemployment figures at historic lows, candidates are eager to find the hottest positions in 2017. Randstad US, one of the largest HR services and staffing companies in the United States, is helping those seekers determine the most promising industries and fields with insight and predictions in its annual 2017 Hot Jobs report. Randstad worked with its national recruiting experts to review the current workforce trends, including available positions, number of qualified candidates, market growth, salary range and specific skillsets to provide timely projections for the year. Randstad’s 2017 predictions include the most in-demand and emerging jobs within engineering, finance and accounting, human resources, information technology, life sciences, manufacturing and logistics, non-clinical healthcare, and office and administration. Every year, Randstad US publishes a summary of what some of the most in-demand jobs are across many fields and industries. 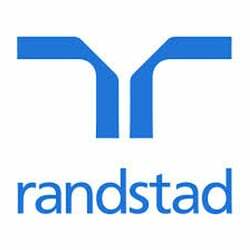 Randstad’s list for 2017 includes jobs in engineering, finance and accounting, human resources, information technology, life sciences, manufacturing and logistics, non-clinical healthcare, and office and administration. Randstad collected this data from their team of expert recruiters, in combination with research pulled from a variety of current workforce trends, including number of qualified candidates and available positions, market growth, salary range and employer need for specific skillsets. Randstad US is a wholly owned subsidiary of Randstad Holding nv, a $24.5 billion global provider of HR services. As one of the largest staffing organizations in the United States, Randstad provides temporary, temporary-to-hire and permanent placement services each week to over 100,000 people through its network of more than 900 branches and client-dedicated locations. Employing 5,300 recruiting experts, the company is a top provider of outsourcing, staffing, consulting and workforce solutions within the areas of engineering, finance and accounting, healthcare, human resources, IT, legal, life sciences, manufacturing and logistics, office and administration and sales and marketing. Learn more at www.randstadusa.com and access Randstad’s panoramic U.S. thought leadership knowledge center through its Workforce360 site that offers valuable insight into the latest economic indicators and HR trends shaping the world of work.